I've recently fitted ITBs and as such I've removed the charcoal canister. I need to install a breather/rollover valve for the tank, but I'm not sure about the best way to do this. My original plan was to replace the factory one which clips to fuel tank and fit the replacement one I have in its place, however, looking at servicebox it looks like somewhere between the rear wheel arch and the charcoal canister, there should be a device of some kind. (Item 6 or 10 in the image below). If I simply replace the old breather with the new one, will this device, whatever it is, cause problems? If so, what have other people done? 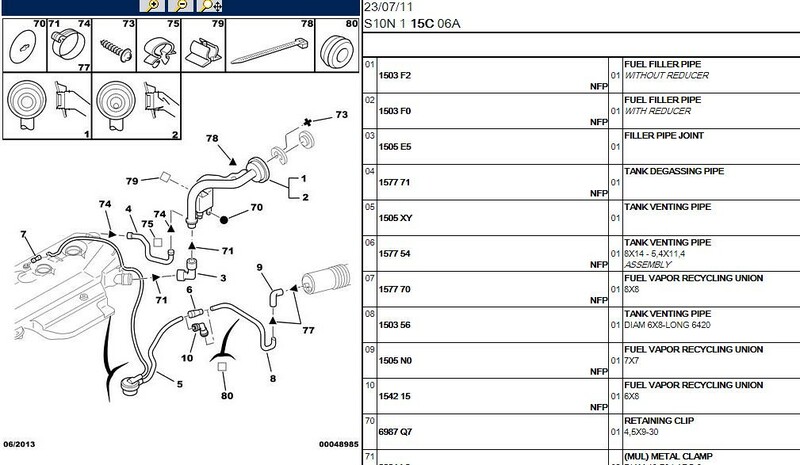 there's a rollover valve there as standard so not sure why you'd want to replace it unless its broken? 6 & 10 are just inline joiners, either straight or 90. Ah ok, that's alright then. Sandy recommended that the standard one would not work properly, not 100% on the reasons why but I'd rather replace it now than have it cause issues down the line. I've got a combined breather/rollover valve in the rear inner arch, think it's a Speedflow one. I made rear inner arches so no issue with it getting choked with road grime. I did the same to mine. Works well.